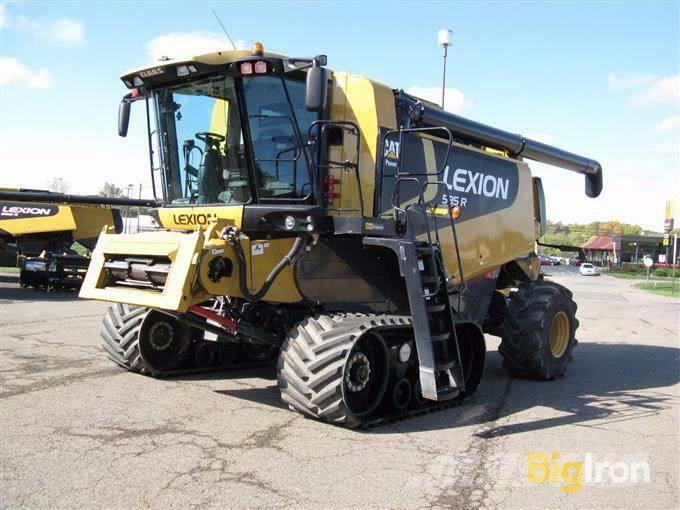 Additional Information 2008 Claas Lexion 585R Tracked Combine, 2,048.93 Hrs Showing (Engine), 1,335.95 Hrs Showing (Separator), 4WD, C13 Acert Caterpillar Engine, Mud Hog Rear Axle, Single Point Hookup, Hybrid Threshing Chopper, Chaff Spreader, AM/FM CD Radio, Trainer Seat, 35" Tracks, Rear Tires 28LR26, Contour Feeder House, Electric Sieve Adjustments, Auto Climate Control, Yield Monitor, Moisture Monitor, Grain Loss Monitor, Returns Monitor, Rock Trap, Straw Chopper, 300 Bu Grain Tank, *Ohio Ag Equipment Is Proud To Offer A Protection Plan For Combines Completing The Field Ready Program. We Offer This Protection Plan To Customers Purchasing And Using The Machine In Ohio Only*, **PLEASE NOTE: In Addition To Current Warranty Coverage For Ohio Based Buyers, This Item Has Also Been Pre-Qualified And Approved For Extended Warranty Coverage For Additional Cost By Machinery Scope To Buyers From All Other States And Canadian Provinces. Please See Attachment and/or Contact Machinery Scope For Further Details.